Hopefully you U.S. dance music fans dug into Sub Focus&apos; Torus. It&apos;s one of the better albums of the year, and marked the continued progression of Sub Focus&apos; production. 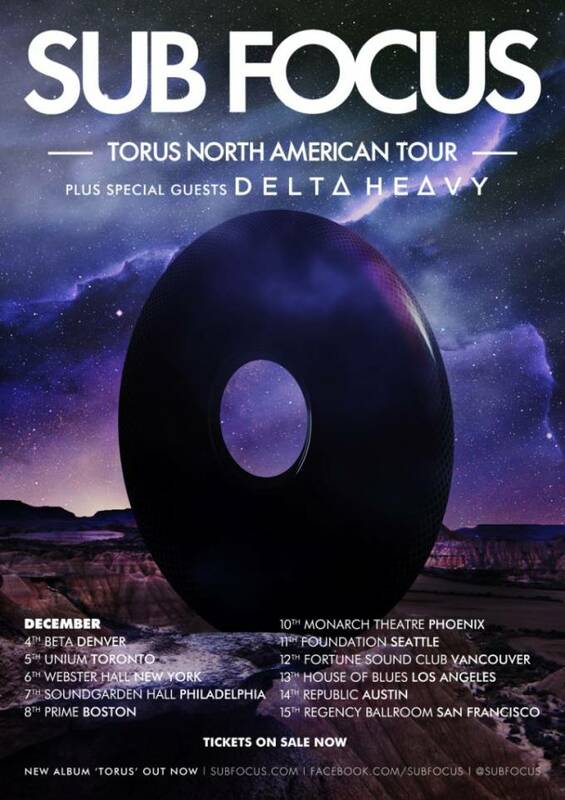 If you&apos;re a fan, or want to see what the buzz is about, you need to make sure you hit one of the stops on his forthcoming Torus North American tour, which will hit Denver, Toronto, Los Angeles, New York, San Francisco, and many points in between. Delta Heavy will be supporting. Don&apos;t play yourself.